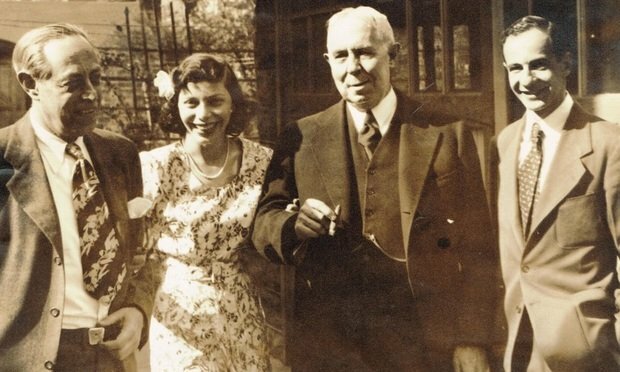 From left to right: Judge Jerome Frank, Carmel Ebb, Judge Augustus Hand and Lawrence Ebb at the Ebbs’ wedding reception. Courtesy photo. Carmel Ebb, believed to be the first female to clerk for a federal appeals court judge, died in Maryland on Feb. 10 at age 94, leaving a legacy as a pioneering lawyer who overcame barriers that made a career in the law difficult for women.